Port Lavaca Harbor area. This area is located east of present day Commerce Street. 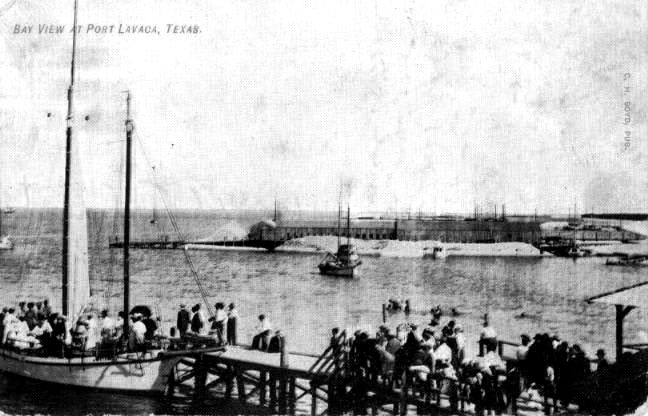 Harbor at Port Lavaca - 1910. Sailing excursions on Lavaca Bay were once quite popular with tourists and locals alike. The bayfront represented a major recreational attractional attraction. In addition to sailing, swimmming in the salt water was viewed not only as fun , but therapeutic as well. Today, little remains that would give any indication of the recreational or commerical industry that was located on the bayfront. portlavacamainstreet.com - All rights reserved.